In a previous post we considered the DC Horoscopes of Spring Equinox 2019 and Summer Solstice 2019 with both charts set for the White House and both having the same signs and degrees on their angles (14 Virgo rising, 12 Gemini at MC) which spotlights astrological Mercury--retrograde in Pisces and hangin' with deceptive Neptune in Spring but speeding through Cancer during the month of June. As I type, we're in April and poised within the Spring season as we look ahead toward Summer so let's take another peek at the Summer Solstice 2019 chart with its Mutable Grand Cross, dynamic T-Squares, a focussed YOD, a Mystic Rectangle, and a Locomotive shape of planets chugging along behind Jupiter Rx. Plus, Summer 2019 as a topic must include the karmic July 2, 2019 Solar Eclipse in Cancer and the July 2019 Lunar Eclipse (DC Horoscopes shown). So that's two disruptive Uranian 'wild cards' or 'cosmic blinks' in July, plus, America's 243rd birthday! And mention should be made that in this chart Uranus @5Tau34 in the 8th house of Corporatism, Transformation, Debt/Credit, Insurance, Shared Resources, and the Occult is unaspected. Yes, Trump is a Jupiterian (natal Jupiter Stationary, materialistic and large) and a Martian (Mars rising with royal Regulus in royal Leo) but he's also very much a radical Uranian with his 10th house Uranus in Gemini behaving as his 'guiding planet' of chaos and disruption. 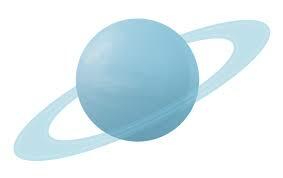 When unaspected, the independent nature of planet Uranus is intensified along with its tendency to be unaffected by outside influences. 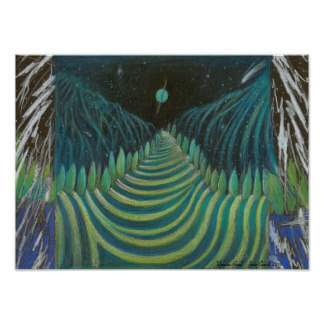 Sparks of intuition may occur but won't inform the rest of the planets so that rigid, self-defeating, unconscious patterns of behavior are enforced rather than improved upon. And as you know, Uranus in money-oriented Taurus denotes a period when unusual sources of income are sought and speculation risks all in one roll of the dice. But with quirky Uranus in staid Taurus, premature action often leads to failure (Ebertin) making prudence and caution necessary. First, Jupiter Rx is the engine leading a Locomotive shape in the chart and this denotes high-powered executive/s ruthlessly determined upon success (Trump?). Yet with Jupiter retrograde, his plans may be delayed, interrupted, or somehow debilitated. 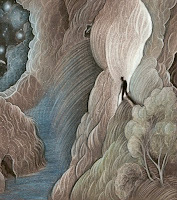 Perhaps things will more easily progress once Jupiter resumes direct motion and trundles on his way forward after August 11, 2019. 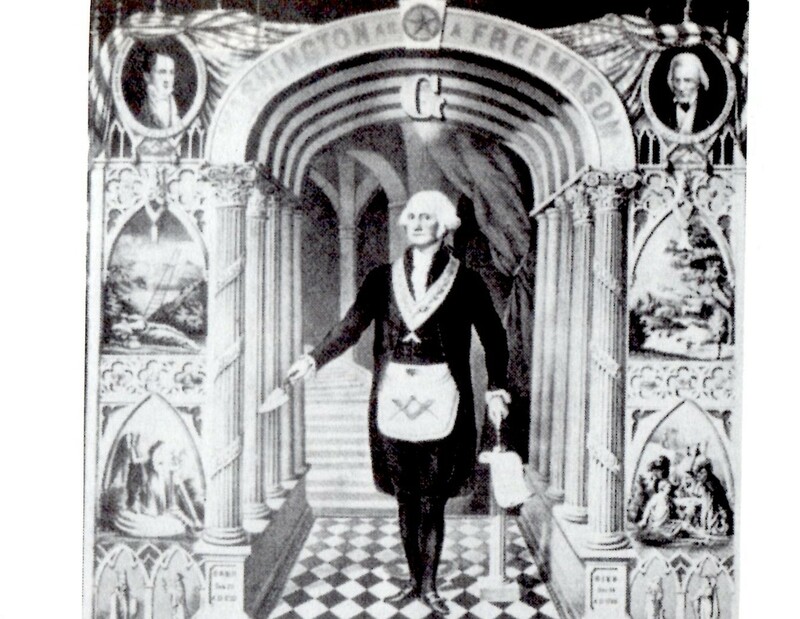 Note that astrological Jupiter may play many roles: politician, banker, corporatist, religious figure, judge, lawyer, military general, a wealthy person, a civil servant, an explorer/adventurer, and/or a fortune hunter. A Mutable Grand Cross (Venus, Jupiter, Neptune, ASC) spotlights conditions of extreme restlessness and nervousness yet if the energies are well-handled can instead denote alertness and mental vigor. However, plans under its sway tend to be implemented inconsistently, indirectly, and by using impractical methods. Concentration is often lacking or is vacillating and indecisive. Needless to say, conditions are frustrating and, similar to the sign of Gemini, mental focus and actions tend to be spread too thinly in multiple directions to be as successful as they could be. Of course, the Grand Cross's oppositions describe a need to integrate logic and reasoning ability into circumstances and relationships in order to mitigate at least some of the instability and unreliability suggested here. Add to this the muddled thinking and dreaminess when it comes to facing harsh realities embedded within a Jupiter-Neptune square, plus, a Venus-Neptune square's difficulty discerning the difference between reality and fantasy--with both squares and the people they represent affected by watery Neptune in its own sign of secretive Pisces--Neptune, planet of deception, lies, fraud, confusion, the media, the masses, and propaganda so it seems that we have a continuation of the Trumpish atmosphere of fantasy and deceit we've been mired in since Summer 2015. Now naturally, any Grand Cross contains a few T-Squares, and the primary of which here is Venus-Jupiter = Neptune (conjunct the Descendant axis) so that foreign capital investments and/or foreign raids on the treasury are potentials. As a midpoint picture, possibilities include expansion, inflation, weakened limitations (such as laws? ), and illusion and confusion delaying real progress. Also note that value-loving Venus is in duplicitous Gemini at the top of the chart for the entire world to see. Therefore, currency issues may also be indicated and be a goal (MC) and a topic of public discourse (Gemini). But Venus can also vengeful (especially when scorned) so retaliation may be on our Summer calendar as it always is for Donald Trump. Then opposite Venus is banking planet Jupiter at IC and retrograde until August 11, 2019 (stations @14Sag30) so finances are in process of being reviewed, lessened, delayed, and/or retracted. Jupiter in 4th house suggests the involvement of Real Estate and/or Mining. Also in 4th house is Summer Solstice 2019's Prenatal Solar Eclipse ('PE') of January 5, 2019 @15Capricorn which imprinted upon the 116th Congress with its theme of 'joining new groups and gaining a great deal' ( Brady). Having two money planets opposing one another sounds a lot like a financial stand-off of some kind, doesn't it? The YOD pointing toward the North Node (and Focused YOD pointing toward Saturn) show that a turning point or crossroad has been reached, a special task must completed, and/or a crisis awaits which must be dealt with. Plus, a combination of Saturn and South Node (of the Moon) is extremely limiting (cooperation needed!) and suggests some form of separation. However, at the base of the YOD the Moon-Jupiter sextile (60 degrees) suggests a ray of hope (A. Oken) yet we cannot ignore the fact that the Moon (the public) is apex of the socially concerned Saturn-Neptune midpoint which can indicate people with low character, pessimism, depression, and/or activities that serve no real purpose. And as a midpoint picture, Moon-Jupiter = Saturn also suggests limiting conditions; luck in brief spurts; lasting emotional misconceptions; negligence; inner conflicts; social disadvantages; and/or liver or gall bladder disease (Ebertin). Moon-Jupiter with NN merely hints at associations and new contacts that are 'on our path'. As for the Mystic Rectangle (a pattern which always sounds rather groovy to me!) between Saturn, Neptune, NN, and ASC, its 'practical mysticism' vibe and karmic implications (Saturn, Nodal axis, and even slow-moving Neptune) can usually denote those who use mystical and/or astrological principles to guide their plans and actions so with Washington DC and our Founding Fathers well known for their mystical and astrological tendencies and interests via secret societies (ex: Freemasonry), I'll leave it for you to decide what and who in our present day may be hiding behind the scenes and manipulating outcomes during Summer 2019--or if the mystical pattern even applies to our circumstances at all! Read more about the Mystic Rectangle planetary pattern. AG Barr's Cover-Up Tactics Continue so Mr. Trump Must Be Having the Vapors! 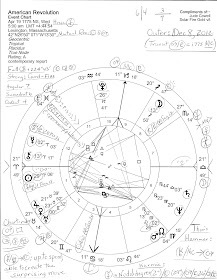 So with the ongoing square (blockages; obstacles) from transit Neptune @17Pisces to Trump's natal Uranus @17Gemini (his 'guiding planet' of chaos, disruption, and oddballness in his 10th house of Career and Public Standing) his nibs could turn out to be the leader of a failed social movement. Okay, I'm cheering for that--no neo-fascism or otherwise, please. Will either of you join me? 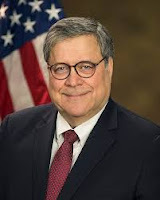 Assuming that AG Bill Barr (a Sun Gemini like Trump!) releases a redacted version of the Mueller Report tomorrow morning (Thursday April 18, 2019), a quick peek at tomorrow's planetary positions reveals a couple of interesting transits to the Mueller Report submission planets of March 22, 2019. MRS = Mueller Report Submission; BR = Barr Redactions April 18, 2019. BR Neptune conjunct MRS Mercury (in secretive Pisces) suggests potentials for covering up or veiling the report in order to confuse issues (or deep-six them), deception, erroneous conclusions, and/or mysterious communications. BR Mercury conjunct MRS Sun indicates potentials for strong and dramatic expressions in a forum (the public discourse? in congressional committees? ), hiding difficult conclusions, taking the ideas of others and adding your own (Barr's) input to create something entirely different (the goal of Trump's man Bill Barr as was his earlier "summary" letter/s that allowed Trump the opportunity to brag about being "exonerated"). This transit info sounds accurate to me, how about you? Plus, there are the increasingly harsh energies of the Saturn-Pluto duo in process of aligning for their January 12, 2020 Great Conjunction and now oppose Trump's watery natal Saturn (authority; accountability; limitations) in Moon-ruled Cancer. As previously discussed, the Saturn-Pluto conjunction when exact @22Cap46 will conjoin the natal Vertex of Mr. Trump, a sensitive point of fated encounters. Significant? Karmic setbacks? Both? We'll see. And perhaps a midpoint picture involving the planet of reports and communications is revealing of current events for it forms tomorrow...Mars-Saturn = Mercury: loud shouting at formal speeches (Munkasey); bad news; separation; bereavement; murderers (Ebertin)--surely murder doesn't turn up in the Mueller Report!!? If so, that would be something worth hiding at all costs. Additionally on April 18th, the transiting Mars-Saturn midpoint conjoins the March 22, 2019 Sun (1Ari55): inability to meet all demands or master all situations; weak vitality; death or illness of male persons (Ebertin). Now data for both horoscopes are listed, below, if you haven't already set up the charts and looked for more transits that apply to the Mueller Report Redaction situation once it drops tomorrow-if tomorrow! will its edge be softened by dropping just prior to the holiday weekend? I used '12:00 am edt' for April 18th but perhaps we'll have a definite hour of its release once it's done. And to paraphrase one of the political truisms I always go by (even if FDR didn't say it as has been asserted through the years)--that whatever happens in Politics is meant to happen for nothing in Politics happens by accident (note that astrological symbols and signs are found embedded all over Washington DC--and that Astrology adds the element of Time and timing to any circumstance, in 1776 and in 2019). This follows along with the political use of the Hegelian Dialect: create chaotic problems then offer the solutions you wanted all along. To me this a large part of Why Trump As POTUS--to create chaos and massive problems so that Americans and the world will accept whatever draconian 'solutions' the puppet masters of the Universe decree--perhaps with Trump continuing as their shill and instigator or perhaps with some other raptor-brain of low character. Now as you know, the Sun conjoins quirky Uranus (Trump's 'guiding planet') on Monday April 22, 2019 @2Tau31 and when we round up the conjunction's degree to '3 Taurus' we find, "Steps Up to a Lawn Blooming with Clover"...Keyword: HOPEFULNESS. Positive expression: a creative optimism brought to embrace every facet of everyday living; negative (unconscious/shadow side--jc): an unwarranted self-indulgence and a disregard of all practical reality through a concern over the phantasmal and impossible. And of course, this symbol (word picture) always reminds me of the White House lawn! Do the 'clovers' suggest good fortune for Donald Trump? Well, Sun to Uranus hints at potentials for stubborn pride, loyalty issues, and uniqueness that invites further scrutiny. As for Barr's release of his version of the Mueller Report tomorrow, it was noted on The 11th Hour with Brian Williams that we Shouldn't Put it Past Trump to Distract from tomorrow's release of the redacted Mueller Report for distraction is one of Trump's go-to political tactics meant to soften criticism of whatever jam he's in at that moment. Yes Big T or a minion of his will think of something! Horocope data used in this post: Mueller Report Submission March 22, 2019 4:00/4:35/5:00 pm edt Washington DC (4:35 pm puts Trump's natal chart angles on the Submission chart's angles); Barr Redaction Release April 18, 2019 '12:00 am' edt Washington DC. Also note that on March 22, 2019, the Sun and wounded healer Chiron conjoined @1Ari51/55 which suggests someone with a strong will on a mission seeking recognition and positive feedback, someone for whom "pride and power may lie in wait"--R. Nolle, Chiron The New Planet in Your Horoscope, The Key to Your Quest. Above portrait: Attorney General William Barr. Singapore in the house! 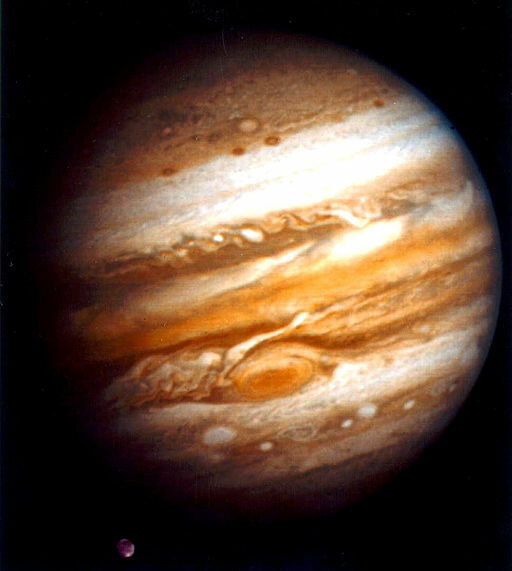 Is Jupiter causing trouble? Saturday April 13, 2019 9:10 am edt: Good Morning Singapore! You've been 'visiting' Stars Over Washington a lot the last couple of days. What's up? Well, for one thing I see that Jupiter's April 10th station @24Sagittarius opposes Singapore's natal Jupiter in Gemini. Feeling discontent with wealth or achievement? Is no one impressed with your efforts? Be patient for this too shall pass! You may also wish to check out the Planets Aspecting Assange's Natal Chart on April 11, 2019 morning London, UK (his arrest and evacuation from the Ecuadorian embassy). Plus, I am inspired to mention that of course Donald Trump now denies that Wikileaks is his "thing" and that he doesn't 'know' Julian Assange in a transparent attempt to distance himself from the situation. This is a predictable reaction from Trump since Assange was captured and, as we learned from the draft dodger himself, Donald Trump doesn't like people who get caught. In case you missed it: Has Trump Already Committed Nixon-esque Treason?, another Tom Hartmann segment (2016) with author Lamar Waldron. A related astro-post: The Reichstag Fire Horoscope and Donald Trump.